There have been glass glitter drum wraps made in the past (mostly in the early 1980’s), but the appearance then was not as favorable as the sparkle finishes. 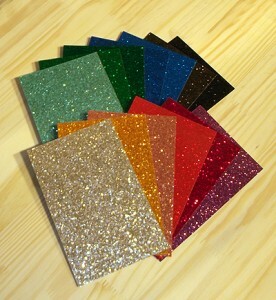 In the late 1990’s a newer crop of glass glitters came out that are extremely popular. A favorite of many celebrity drummers, these finishes are considered the top of the line. They really deliver the biggest wow effect under stage lights!